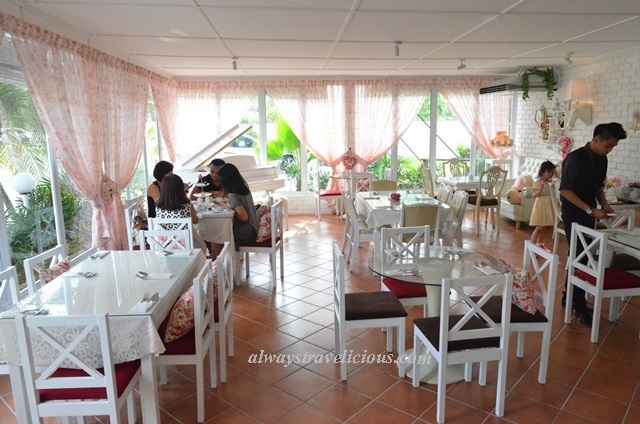 Potpourri House Cafe @ Ipoh, Malaysia - Always Travelicious ! Potpourri House Cafe is located behind and adjoined to the Adonis Birdal House. In romantic white with sweet floral motifs, the cafe has a blissful atmosphere about it, especially with couples taking their pre-wedding photos beside the cafe. 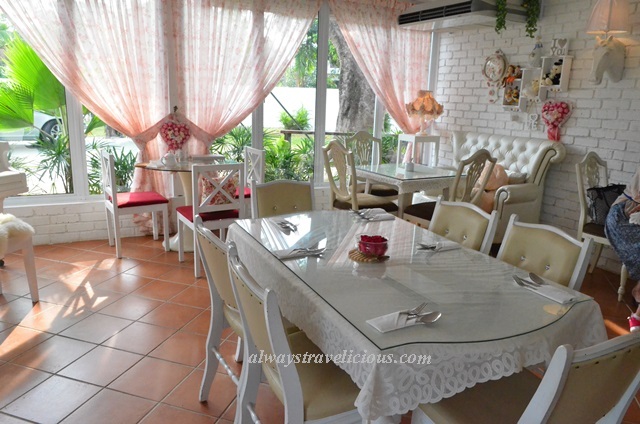 The cafe serves western cuisine and dining at night in the garden grounds is beautiful. The cafe is elegant with the white grand piano and lovely decorations. It would have been nice to just lightly scent the cafe so it lives up to its name of “potpourri”. The lime and orange fusion tea is a bit meh – too plain and hardly distinctive (RM 12.80). A different section of the cafe. Potpourri House Cafe carries light meals like burger, spaghetti and tortilla wrap in the range of RM 15 – RM 22, which is still in an acceptable range that’s a tad more expensive than most other cafes in Ipoh. Their mains such as salmon and steak are pricey in the range of RM 38 – RM 58. Address : No 2, Jalan Woodward, Ipoh, Perak. (Behind Adonis Bridal House that’s behind Heritage Hotel. May I know is it your restaurant halal? Hi Crystal, it’s not my restaurant but I think its pork free. I would like to know how much per person to celebrate a birthday party at your place ?